Stories & Art Workshop: Bugs! 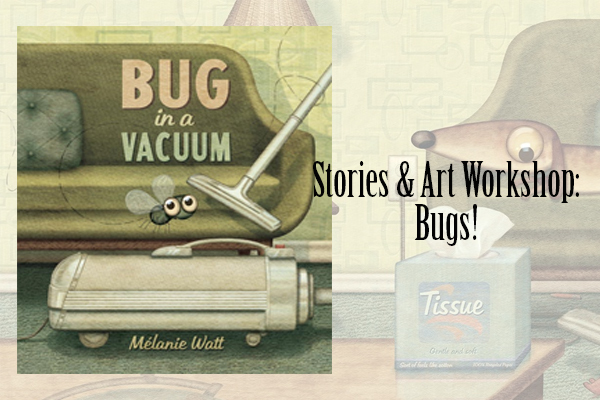 Stories & Art Workshop presents: Bugs! Join us in reading Bug in a Vacuum by Melanie Watts and creating cardboard insect wings. Only children need to be registered for this event. Perfect for school aged children 5 and up.